Wandera claims the other side of the mound. In black kitten heels, she hops from one irregular rock to the next until she finds a stable perch. Then she lifts her phone above her head and waves it at the sky. It turns out this mound is Network — the only place between here and forever where you can make a phone call, if you catch the wind just right. Wandera reaches her boss, whose caravan from Ethiopia has been delayed. Andrew Mude is bringing 12 elders from across the border to witness the small institutional miracle he and Wandera have pulled off. Thanks to them, in Kalacha, cows have insurance. Wandera manages an innovative insurance program that offers cash-poor pastoralists low-priced insurance for their only assets: livestock. The plan was crafted precisely for places as remote and vulnerable as Kalacha. Here, each morning, men set out with their cattle to look for pasture. Women and girls wait at wells for their turn to pump water into yellow plastic jugs, then haul it on their heads back home, where thirsty goats wait impatiently. The camel herders have it the hardest; the roving Gabra tribesmen move endlessly across the desert. For these pastoralists in northern Kenya, where most people don’t have bank accounts, cows and camels are cash. If animals die in large numbers, families go bankrupt. That makes drought one of the biggest financial risks that people face here. “In this area, you get a severe drought about once every four years,” says Mude, an economist with the International Livestock Research Institute in Nairobi. Severe drought can kill off as much as a third of a herd, he says. That level of devastation is like losing your home to a fire or totaling your only car. Americans hedge against such risks with insurance, paying monthly premiums in order to be compensated if disaster strikes. Americans insure almost everything — cars, houses, boats, artwork, cell phones, even their bodies — against almost every kind of risk: fires, floods, theft, sickness, death. This works because a system exists for vetting claimants: insurance adjusters verify and appraise all damage, whether from a fire or a fender bender. Insurance companies can afford that personnel-intensive model of verification because most of us are buying insurance, paying into the companies’ large pools of funds, and we’re generally easy to find. But in northern Kenya, traditional insurance is impossible. The vast area is mostly without roads, and villages are difficult to reach. “It would be really quite expensive” to make a conventional system profitable in such a remote area, Mude says. The same problem besets many other rural communities in developing countries. So six years ago, the United Nations’ World Food Programme piloted a new insurance model in Africa. Visiting farms to appraise damage would be too expensive, so WFP found another way of “verifying” that crops were succumbing to drought. In Ethiopia, researchers took rainfall data and crossed it with harvest data. Statistical analysis proved mathematically what the farmers already knew from experience: low rainfall levels suggest that crops are going to die, and when crops dies so do animals. WFP’s rainfall-index insurance was the first of its kind in Africa. The industry was pioneered in India, and it has since expanded. Today, rural farmers can buy rainfall insurance for crops in Malawi, Rwanda, and the Philippines, among other places. Premium prices are low, ranging from about $3 to $10 — even in distant, poor communities. A good index depends on data that are easily available and objectively verifiable. Farmers and insurance providers alike trust government data on rainfall, and each group can find that information independently. But the data also have to relate directly to the problem. Whether crops die depends more on how much rain falls in a season than, say, the number of cloudy days. When Mude and his research team, in concert with researchers at Cornell University, decided to build an index for livestock insurance, they needed two sets of substantial data. The first set was easy to come by: statistics on livestock mortality have been available from the Kenyan government since 2000. Finding the second set was more complicated. Rainfall data isn’t easily available here, and micro-regions can experience quite different weather patterns, making rainfall too inexact a measurement. For the index to work, the team had to find something that measured how much food was available for herds. Since the 1980s, NASA has used satellite pictures to measure global drought. Every 10 days or so, a satellite snaps a picture of the northern Kenyan plains and adds the information to a free public database that shows how green or brown the ground there is. The logic seems obvious: without green stuff to eat, cows and goats will probably die. But the economists had to confirm that the two different sets of data had a strong statistical relationship and then use that to predict what portion of a herd might die under various weather conditions. Making the math work was only half the battle. Explaining the product to pastoralists was another matter. Mude and his team use games and theatrical skits to convey the concept of insurance. But to explain how insurers will know what’s happening to the animals — how the satellite figures in the process — they use a different metaphor. In the winter of 2010, during one of Kenya’s worst droughts in recent memory, Marsabit District is as brown as Ireland is green. The district, IBLI’s pilot region, which includes Kalacha, is seven hours, by rickety overnight bus, from the end of Kenya’s paved northern road, and the population, estimated at 144,000 in 2008, is spread thinly across the 66,000 square miles. No one really knew if the insurance program would work here. But the costs were low enough, and the institutional infrastructure stable enough, that the policies sold well, even in the first year. Insuring a goat in the driest and most expensive part of Marsabit costs a little more than a dollar. A cow costs about $10, and a camel costs $14. To pay for the policies, bought mostly for their most valuable animals, most herders sell a few goats. But how do you collect and keep track of $1 payments across a barely inhabited region? Though the team at the International Livestock Research Institute built the index that makes the insurance work, a private insurer sells the policies and covers its risk by taking out a policy with a reinsurance company. Herders hand cash to a sales agent, who works for a bank and travels between villages. He carries a kind of portable cash register, a handheld device that uses cell phone networks to register payments and print receipts. Insurance money doesn’t flow out as soon as things start looking dry. The data are analyzed over time, and any payouts are made at the end of the dry season. To trigger a payout, things have to be really dry: the policies are built to protect herders against catastrophic livestock mortality — deaths in numbers so great that a family might never financially recover. IBLI sets that threshold at 15 percent of the herd. If the satellite shows drought so severe that the index predicts that more than 15 percent of the livestock will die, herders get paid for every animal they’ve personally insured. At the end of the second dry season covered, the payments totaled around 1,850,000 Kenyan shillings — or about $20,650 U.S.
At this stage, the insurance products aren’t making enough money to interest private insurers in developing them on their own. In 2009, the pilot year, the IBLI team sold nearly 2,000 insurance policies, totaling almost $47,000 in premiums. And in a purely commercial market, an insurance product with such low premiums couldn’t exist. That’s why nongovernmental organizations are at the forefront of weather-index insurance pilots in Kenya and elsewhere. Insurance companies are willing to join these experiments now, though, because of the possibility that the market for small-scale insurance could explode, as micro-banking did in the last decade. Still, at some point, someone has to make some money. To succeed in the long term, “commercial viability is an absolute requirement,” says Martin Buehler, the principal insurance officer at the International Finance Corporation, which manages a program and associated trust fund that support six early weather-index-insurance projects around the world, including IBLI. Buehler believes such programs will need three to five years in areas as challenging as northern Kenya to become profitable. “It falls along the spectrum between pure capitalism and pure altruism,” says Jürg Trüb, the managing director for environmental and commodities markets at the global reinsurance giant Swiss Re. But as the market develops, policies can take off. In India, which Trüb says is the only commercial market in weather-index insurance so far, he saw annual premium sales jump from $100,000 to $100 million in seven years. With that kind of tantalizing growth in mind, the IBLI team is planning to expand into southern Ethiopia. Meanwhile, in Kalacha, one enterprising young man realized that, even with small-scale insurance, speculation could pay off. Abdinoor Kochale understood sooner than most what the index really means: It doesn’t matter if your cows or camels actually die; it only matters if the index says they probably will. Kochale gambled that he might be able to turn probability into profit. If a drought were bad enough to trigger the index, he’d get paid for his insured animals. But if he were clever or lucky enough to keep his animals alive, he’d end up with cash and animals. So he chose to insure several camels. Camel premiums cost the most, but they pay out the most. And Kochale knew that camels are the most drought-resistant livestock in the region. “If the index triggers, I’m in a good situation because I’m going to be compensated, and the camels are still going to be there,” he explains, grinning with self-assurance. Still, as the drought stretched on in 2010, herders in three of the pilot villages grew frustrated. Some said they had seen their cattle die but had heard nothing from their insurer. Others complained of losing cattle to raids or disease — circumstances that aren’t insured — and asked for a program that covered more risks. Most simply felt confused. They knew the satellite was collecting information, but no one had told them what it was saying. The drought seemed so obvious to them; why couldn’t the satellite see it? “Me and you could go around and see that livestock can’t graze in the forest,” one frustrated pastoralist shouted during a mid-February community meeting in the village of Dirib Gombo. The forest might look green from space, he argued, but on the ground, the land where cattle graze was dry and useless. The IBLI team has tried to focus herders on the narrow slice of probability that the insurance actually covers: catastrophic drought. The formula factors in a certain level of normal livestock mortality — the usual number of cows a herder can expect to lose during typically dry periods. On a visit to the pilot villages, Brenda Wandera explains premium payments like this: “If you get a night watchman to keep people from stealing at your house, but at the end of the month no thieves came, you’re not going to not pay the watchman.” Usually, her explanation is accepted half-heartedly. The dissatisfied villagers of Dirib Gombo get no sympathy from some IBLI customers, like the respected local elder Adan Sora, who persuaded a group of men to take out policies. Sora sold some goats to insure five of his cattle in 2010, and he says he’ll insure again next year. But he adds that he’s known for months that the drought won’t get bad enough to trigger a payout, because he and his fellow elders have been consulting an index of their own. The Nigerian government has reportedly included Sh5.2 billion (Naira 10 billion) for the purchase of a naval ship for which Kenya paid Sh4.1 billion in 2003 and which has not been delivered. Nigeria’s 2012 budget proposal has listed the purchase of the naval ship to be approved by Parliament. And sources at Kenya’s Department of Defence said the ship is scheduled to be delivered this year. According to Pointblanknews.com, a Nigerian internet newsletter, the Nigerian National Assembly is scheduled to approve the the purchase of the navy vessel valued at about $30 million for the Nigerian Navy, although it already has Kenyan military insignia. The Federal Government of Nigeria’s 2012 budget allocations indicated that Naira 6.7 billion has been set aside under code 0116004 for the acquisition of two offshore patrol vessels labelled as “Kenyan OPV” that will be based in Calabar/Lagos. Six patrol boats and six X17m inshore boats are included in the Naira 10 billion Nigerian naval purchases. Kenya was made to sign the contract for the vessel procurement in 2003 but had to stop payment when Euromarine, the company based in Barcelona, Spain, contracted to do the job reportedly inflated the cost of the project. The vessel was supposed to be delivered to the Kenya Navy in August 2005. Kenya also discovered that Euromarine has a business relationship with Anglo-Leasing Finance, which was indicted by the office of Controller and Auditor General’s Report on the Anglo Finance Scandal. The Auditor General published a report on the single sourced security contracts where widespread fraud through non-delivery and overpricing were suspected with Anglo-Leasing Finance owned by one Deepak Kamani. Euromarine, a company whose address could not be found in Spain where it claimed to be domiciled, is linked to the Sri Lankan tycoon Anura Pereira who has been investigated and indicted for corruption in Kenya. A team of Kenyan military and State Law office officials are currently negotiating with the contractor Astilleros Gondan over payment. “The ship is coming to Kenya. We have sorted out all the hurdles that were there. This matter was brought to our attention two weeks ago but only time will tell. We will display it for all journalists to see when it arrives,” stated the DOD source. Another source within government dismissed the Nigerian report as pure rumours. “This is just porojo (rumours) from Nigeria”, stated the source. Multiple sources stated that Kenya signed a deal with Euromarine three weeks ago to deliver the ship. Two weeks ago, DOD director of communications Bogita Ongeri told the Daily Nation that Kenya was expecting the delivery of the naval ship anytime now. The Daily Nation quoted him saying: “Negotiations are at a very advanced stage to have the ship delivered. Our officers from the Kenya Navy and the State Law office have been negotiating with the suppliers and we will soon have it delivered”. In the report, Ongeri said the renewed negotiations followed a report by the Parliamentary Committee on Defence and Foreign Relations in September 2006. “The committee gave the contract a clean bill of health so what remains is for our officers to finalise negotiations so that the ship is delivered. We hope to complete that very soon,” Bogita said. Payments on this contract were stopped in June 2005 over the Anglo Leasing Finance scandal. The supplier then sued the Kenya government for withholding payments. The Nigerian government’s Sh5.2 billion budgetary allocation is part of the 2012 budget proposal for capital projects for the Nigerian Navy which also includes additional Naira 6.7 billion for purchase of two offshore patrol vessels, Naira 1.2 billion for purchase of six Coastal Patrol Vessel for South South and South West and Naira 1 billion for purchase of 6X7 M Inshore Boats and Spares. Although the naval ship was specifically built in 2003 for the Kenyan Navy, it is a subject to litigation at the United Nations Commission on International Trade Law, UNCITRAL. The vessel, codenamed KNS Jasiri, has been docked at a shipyard in Spain since 2005 rusting away with most of its parts reported to be malfunctioning. In February 2008, Euromarine wrote to the Head of Public Service Francis Muthaura complaining that the Kenya government had stalled payment and threatened to sell the naval ship. Middlemen then brokered a deal with Nigerian ministry of Defence officials to purchase the same ship. The investigative website Pointblanknews.com reported that since completion of the naval ship in 2005 it has developed technical malfunction with Z-drive lower unit gear, major rust underneath, a rusting exhaust pipe, and parts of the hull do no fulfil military requirements as a research vessel. “Much of the equipment on board is outdated and not functioning any more. It is full of rust and other possible defects as the vessel has not been operating since it was manufactured in 2005,” the website quotes a source in Spain. Reports indicate that Nigeria will spend more that Sh2 billion ($25 million) on the ship’s repair. The Nigerian Minister for Defence Bello Haliru, Chief of Defence Staff, Air Chief Marshal Oluseyi Pentirin, and Chief of Naval Staff, Vice Admiral OS Ibrahim, are reportedly privy to the plan to purchase the ship. In 2007, Kenya Parliament’s Committee on Defence chaired by then Laikipia West MP GG Kariuki went on a fact finding tour in Spain where the ship was docked and held meetings with the suppliers before preparing its report. The report, adopted by Parliament in May 2007, was heavily criticised by civil society groups which accused the committee of taking part in a cover-up to swindle the Kenyan taxpayer out of billions of shillings. Independent anti-graft watchdog Mars Group questioned why the Parliament’s committee did not meet with the Attorney General or scrutinise the legal and financial contracts to satisfy itself that procurement rules were followed and that the ship was value for money. Gramps was in Kenya for a week on a charity mission alongside his brother Peetah Morgan and singer Jboog when he lost the camera on his way back and expressed his disappointment on twitter. “I can’t believe they stole my camera out of my bag at the Kenya airport on British airways, I’m so hurt rasta Kenya why you do this to me?” He later declared his undying love for his Kenyan fans. “I love my Kenya people same way nothing don’t change.” Well, it seems Kenyans are yet to forgive him. NAIROBI, Kenya — An Italian cruise liner carrying more than 1,000 people was adrift without power in the pirate-infested Indian Ocean on Monday after a fire erupted in its generator room. The blaze, which was extinguished, caused no injuries, officials said. Two tug boats from the island nation of Seychelles were steaming toward the drifting Costa Allegra, which had 636 passengers and 413 crew members on board, but they were not expected to arrive until this evening. Italian coast guard officials said a large French fishing boat could be the first vessel to reach the stricken cruise liner. Monday’s fire on the Costa Allegra immediately raised fears, since it occurred only six weeks after one of its sister ships, the Costa Concordia, hit a reef and capsized off Italy, killing 25 people and leaving seven missing and presumed dead. Both ships are operated by Costa Crociere SpA, which is owned by the Florida-based Carnival Corp. However, company officials rushed to play down concerns. The Costa Allegra is adrift “and being pushed by the current. It is stable and upright,” Giorgio Moretti, the director of nautical operations for Costa Crociere SpA, told reporters in a conference call late Monday from company headquarters in Genoa, Italy. No one was injured in the fire in the generator room and the cause of the fire was under investigation, Moretti said. The fire knocked out power to the ship’s engines as well as to its lights and air conditioning. Italian Coast Guard officials said emergency generators were keeping the ship’s control room illuminated and communications equipment such as radios running. Officials said the cruise liner was holding steady, despite 5-foot waves in the area and passengers were being kept in the ship’s big communal rooms, not in their cabins. Moretti, a longtime Costa captain, said he expected the 636 passengers aboard would spend the night on outside decks. Among them were 212 Italian, 31 British and eight U.S. passengers, he said. Four of the passengers were children ages three or younger. Costa Crociere SpA said in a statement the ship was about 20 miles from Alphonse Island, one of the atolls in the Seychelles, a nation of islands and atolls that is a popular tourist destination. The Allegra, whose Italian name means “merry,” or “happy,” had left northern Madagascar, off Africa’s southeast coast, on Saturday and was cruising toward the port of Victoria, Seychelles’ capital, when the fire erupted. Costa said the Allegra had been due in Victoria today. The general region where the cruise ship was adrift — off the coast of Tanzania — has seen a rash of attacks by Somali pirates. In 2009, an Italian cruise ship with 1,500 people aboard fended off a pirate attack in the Indian Ocean far off the coast of Somalia. “If pirates attack, the armed guards on board will respond. But as far as I am aware, no pirates have been sighted in the area,” said Seychelles presidential spokeswoman Srdjana Janosevic. A cargo ship was due to reach the Costa Allegra sometime today, and Moretti said it would bring batteries and otherwise help with communications. Tugs from the Seychelles island of Mahe, the largest island in the Indian Ocean archipelago, will arrive this afternoon. How long were you in the US? Eight years. I left for college when I was still a teenager. I attended the University of North Texas and studied Journalism. Did the recession hit you hard? No. I was still working and unlike many people, I had a chance to resign from my job at a uniform rental company. Many others were laid off when the recession hit. I just saw the future and it looked gloom and it was then that I decided to come back home and explore my options. I was to come for just three months but within those three months, I realised there were many opportunities and decided to stay. I thank God for that because the recession really hit the US hard and people suffered. How long did you stay before you got a job? Again, thanks to God, I did not stay for long, just one month I guess. I met my very good friend, singer Kaberere, who connected me to many of the major gospel personalities in Kenya and I helped launch Power Radio. I then worked at Mo Sound Entertainment for two years. It started as a discussion while I was at Mo Sound and my colleagues kept saying I am suited for TV and they kept pushing me to try TV. 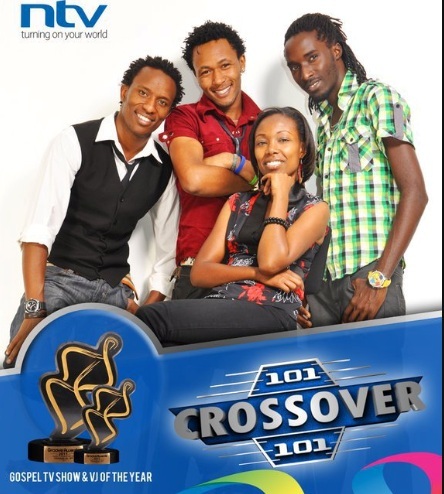 Then one day, we were doing the Groove Awards hype and came to Crossover101 for an interview. Yes. That was in January last year. Viyerrah did the interview. After that I did a screen test and three weeks later I was on TV hosting Crossover101. It was amazing. You moved from a guest to a host in under a month? How did you find it? I was happy but extremely nervous but the Crossover101 team really helped make me feel wanted and to fit in. My first show was at Sunshine Secondary school and I knew that if I failed there, it was over for me so I seized the moment and it went well. I kept picturing myself tripping over the cables on live TV and I was scared but thankfully nothing happened. How do you find TV? It is an amazing platform to spread the Word of God and getting to connect with the audience every Sunday morning. Did you do any media work in the US? In school. I worked on the school’s radio and wrote for the newsletter but I had always wanted to be in front of a camera and I am living my dream now. In a pool full of other gospel shows, what separates your show from the rest? Everything. From the DJs who are just too fresh, the crew behind the scenes who spend hours and days making sure the show is relevant and flows smoothly to my style of interviewing. I try to humanise our stories and topics and I don’t just ask questions just for the sake. That has proved to be a winner because the audience feels involved. 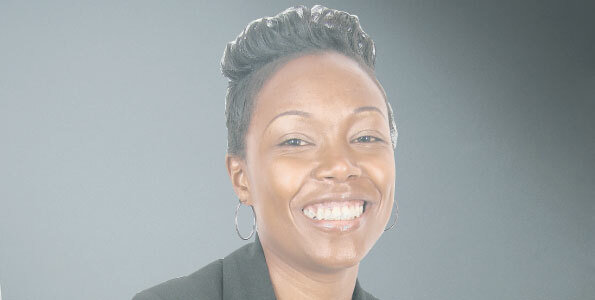 Are you happy with Kenyan gospel music today? I feel as though some artistes are losing focus as for why they do what they do. They are lightening the message instead of telling it as is. Many don’t want to handle the ills in the society the way they are supposed to. Do you think the gospel music hype is over? No. I just think the secular artistes are working harder than before in terms of their music so all the gospel guys need to do is double their efforts. Gospel music will never fall off. I still will never get used to it. At first when I met people who recognised me, I thought they are people I know but I forgot about them so I would act like I remember them until I realised they know me because I am on TV. Just the other day some girl stopped me in the bathroom at the airport and I didn’t know what to say because that was the last place I expected recognition. But I take it well and try to ensure I don’t do anything wrong in public. How much pressure do you have because you are on a gospel show? A lot. Many people, especially the very conservative people don’t understand how I present the show in skinny jeans and in “weird” hairstyles. I get a lot of “You are not very saved” which I don’t understand but there are those who would like to see me in those long dresses. The rest are cool just the occasional criticism which I have learnt to take in good faith. A lot and I pray to God my star continues to shine so that I can bless people especially the pre-teens that I deal with; mentoring and engaging them to help raise a generation that is focused and God fearing. I would like to have a talk show in the near future and would love to get people like Oprah, Jonathan Ciano, my mentor Waikenya Igeria and even my mom just to get her view on life, raising me and her wisdom. There is someone with potential. That is all I am going to say. 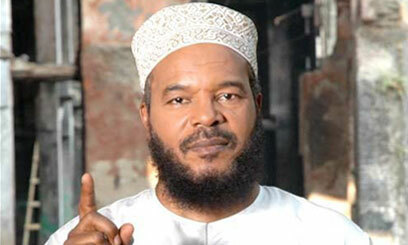 reminded the community that malpractices and unwarranted violence on the part of Muslims have also contributed to the global stigmatizing of Muslims and Islam,” Bilal Philips, left, told the National Post Sunday.”] TORONTO — Deported from Kenya last week due to security concerns, controversial Canadian Muslim preacher Bilal Philips nonetheless delivered his planned speech to Nairobi’s biggest mosque on Saturday via Skype. A Jamaican-born Muslim convert, Mr. Philips was expelled from Germany last year for allegedly advocating the killing of homosexuals. Britain and Australia have also barred him from their countries and the U.S. has named him as a suspected terrorist co-conspirator. Last Wednesday, hours after arriving in Nairobi for a speaking tour, he was expelled to Qatar, where he lives. Kenyan newspapers reported he was not wanted because he had links with “terror circles” and might poison youths with his preaching. He said his online lecture was well attended. “I also reminded the community that malpractices and unwarranted violence on the part of Muslims have also contributed to the global stigmatizing of Muslims and Islam. Thus, proper knowledge of authentic Islamic teachings was necessary to combat these deviations and to put Muslims back in a position to contribute positively to the world community,” he said. Despite being barred from an increasing number of countries uncomfortable with his Saudi-oriented fundamentalist preaching, Mr. Philips continues to speak in his adopted home, Canada. Last year, he addressed two Toronto mosques whose former worshippers have joined al-Qaeda-linked terrorist groups such as Al-Shabab. Police in Mwiki on the outskirts of Nairobi are holding a woman over the murder of her partner. Neighbours say the woman stabbed her longtime boyfriend to death following a domestic row. NTV’s Mashirima Kapombe reports on this latest domestic tragedy.